No brides, or bridesmaids ensemble is complete without some wedding day diamond jewelry and accessories. 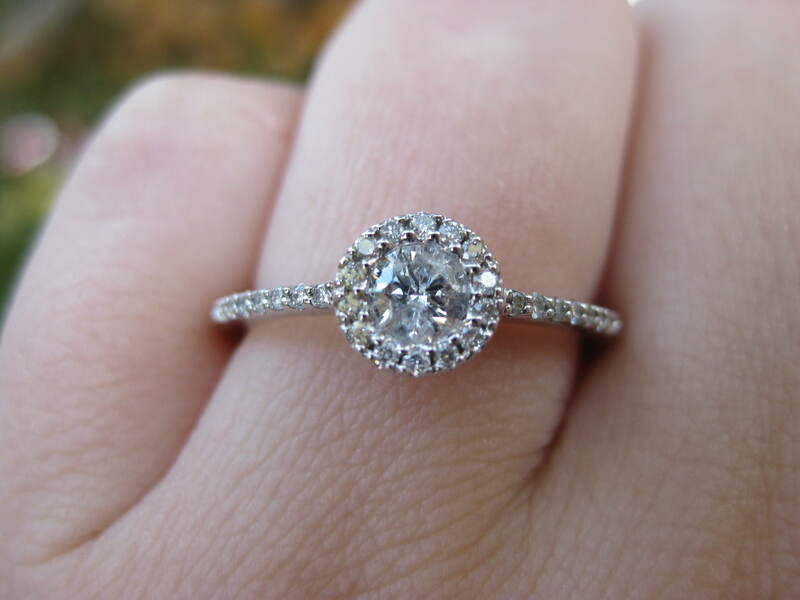 Of course, the bride will have her engagement ring, and very soon, her wedding ring. However, there are other accessories to consider such as earrings, necklaces, bracelets, shoes, and possibly hair accessories like tiaras, and brooches. Below are some of our picks for the best wedding day diamonds and accessories to complete the brides look. These beautiful, sterling silver teardrop earrings feature an oval, teardrop shape with dainty, round diamonds covering half of the teardrop. The approximate carat weight of the earrings is ⅛ carat. 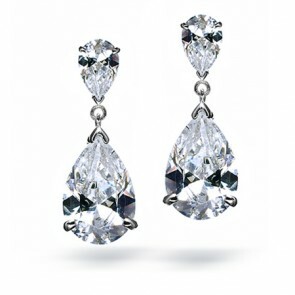 These amazing earrings will compliment almost any wedding dress and will help complete the bride’s ensemble. 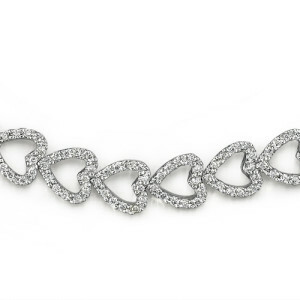 This gorgeous 14K white gold diamond heart necklace is perfect for any bride. The mini heart features 18 tiny, round diamonds and hangs on a 16 inch white gold chain. The heart itself is ¼ of an inch in length, and the chain features a solid, spring ring clasp. This stunning, black-and-white diamond bracelet will look amazing on any bride’s arm. 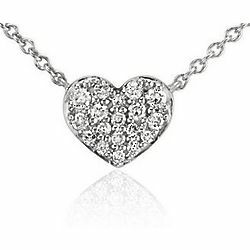 The heart shaped, sterling silver piece features round white and stylish black diamonds with a total diamond weight of 1/10 carat. 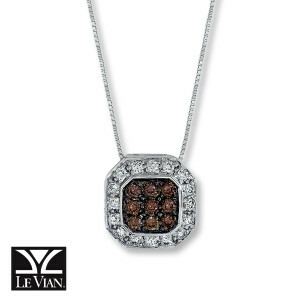 The black diamonds are treated so that they retain their color for many years. The bracelet fastens with a lobster style clasp for additional security. Both the necklace and bracelet in this woven jewelry set are decorated with sparkling, round cut diamonds, which make the pieces really stand out. 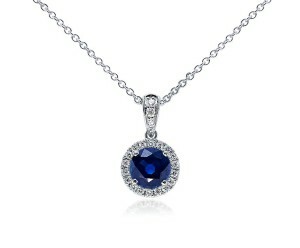 The necklace is 17 inches in length and features a safety clasp for added security. 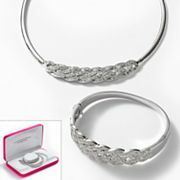 The cuff bracelet is 2.37 inches wide and has a hinged, safety clasp for easy wearing. 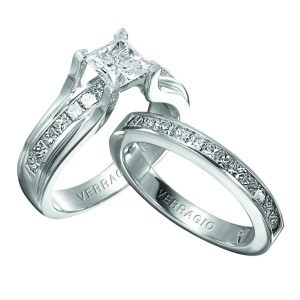 Both pieces are made from rhodium over silver-plated brass with a total carat weight of 2 carats in diamonds. This attractive sterling silver and diamond fan is designed with a vintage, Victorian look. 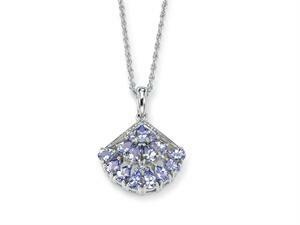 The piece can be worn as either a pendant or a pin and will make a beautiful addition to any bride’s ensemble. The fan is made from filigreed sterling silver and embellished with .20 total carat weight of sparkling diamonds. 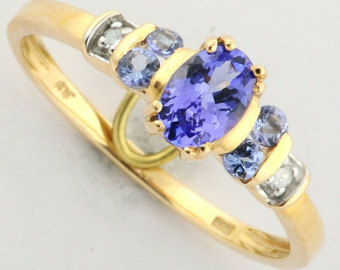 This piece is stunning and would make a perfect family heirloom to pass down for many generations. These solitaire diamond stud earrings are simple in design but will look amazing with any bride’s ensemble. 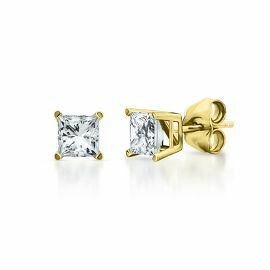 The earrings are made from 14K yellow gold and featuring square, princess cut diamonds nestled in a four prong, basket setting. They also feature friction back posts for additional security. This amazing necklace features nine Le Vian chocolate diamonds framed with round, white diamonds. This gorgeous necklace has a total weight of ⅜ carats and hangs on an 18 inch, white gold box chain with a spring ring clasp. This beautiful pendant will look amazing around the bride’s neck, and also fills the need for “something blue.” The pendant features a blue sapphire surrounded by 21 tiny, sparkling, micro pave diamonds. The pendant hangs from an 18 inch, 18K white gold chain, with a lobster claw clasp. This truly magnificent bracelet features 52 round diamonds with a total carat weight of five carats. The tennis bracelet is made from 14K white gold with a beautiful, polished finish. 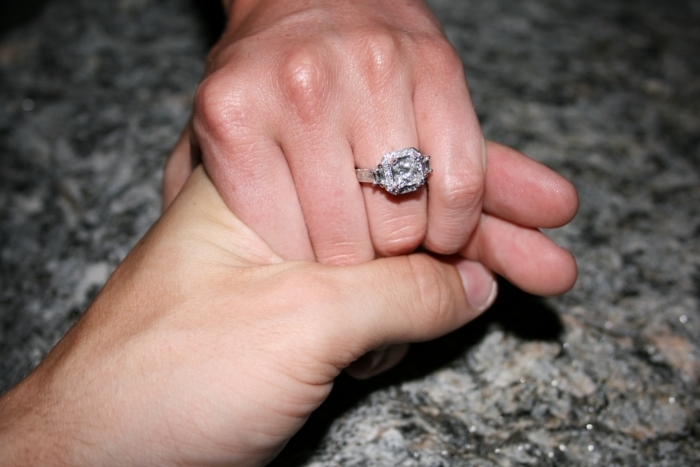 A box clasp with a single safety latch ensures that the bracelet remains on the bride’s wrist. This exquisite 14K white gold sapphire and white diamond ring will fulfil the need for “something blue” while looking amazing on the bride’s finger. 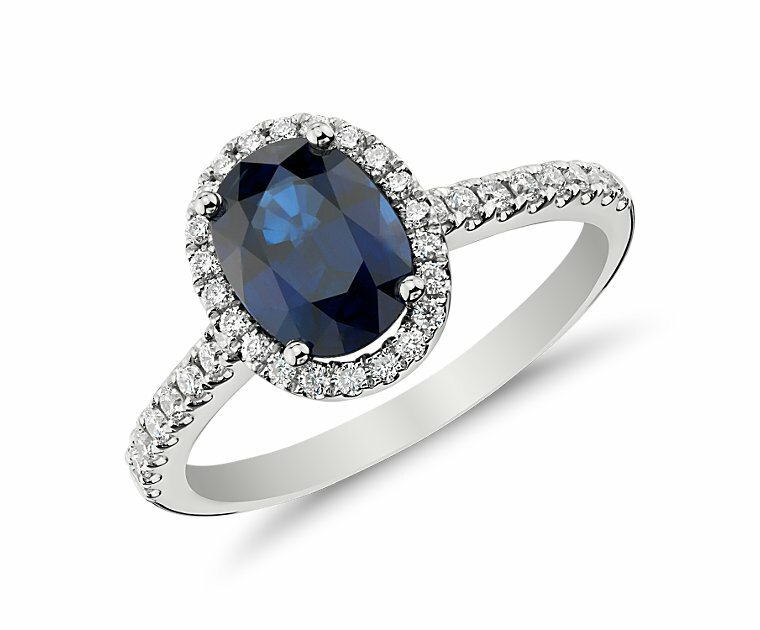 A beautiful, oval, blue sapphire nestles in a halo of 38 micro pave diamonds, with more diamonds set in the white gold band. This amazing ring is perfect as a piece of wedding jewelry or as an engagement ring.